Medicating (Prod. by PSBeats) by A.I. This hip-hop record makes an allusion to “Greens, Grass, Loud, or 4/20”. The song incorporates many references that gives credence to a mindset of staying true and quite defiant also as well as proving A.I.’s authenticity and uncompromising ethos in pursuing his own music style. The record gives observers yet another insight into his rather honest approach to delivering his message about the touchy subject of ‘4/20’ as he did with the hit record ‘Grind’. 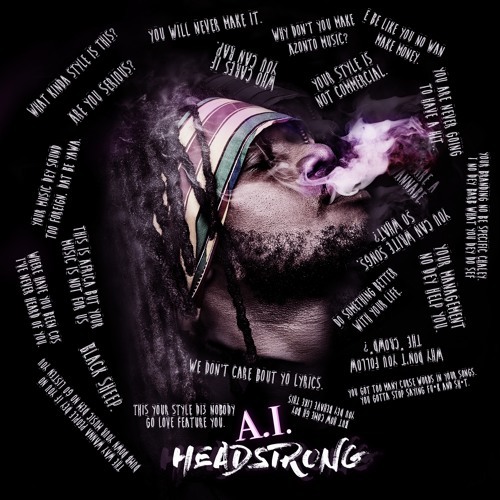 Medicating is another anthem off A.I.’s Headstrong EP and bound to become recognized as another official stoner’s anthem from him yet again.